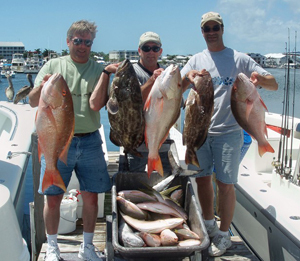 Fishermen from all over the world rank Key West fly fishing as some of the best available anywhere. Stalking shallow water flats around the Lower Keys with a fly rod in hand can be both exciting and relaxing for both young and old alike. Whether you are returning to settle a score with the tarpon that got away, or going to Key West for the first time to try your hand at fly fishing, you can find great experiences there all year long! In fly fishing, fish are caught by using artificial lines that are cast with a fly rod and a fly line. The fly line is heavy enough to cast in order to send the fly to the target. Offshore saltwater species of fish are usually attracted to the fly by chumming with small baitfish, or teasing the fish to the boat by trolling a large hookless lure. Popular Key West fly fishing targets are tarpon, barracuda, crevalle jacks, permit, and bonefish, and the number and type of fish on the flats vary from month to month. Permit fishing has become increasingly popular with a tournament in March called the March Merkin and one in July called the Del Brown Invitational. Fish come to the flats hungry and ready to latch on to your bait, and give you some great excitement fly fishing! Charter guides often have their own equipment, making it easier for a weekend fisherman to do some great Key West fly fishing without the high costs of buying their own gear. Charters are available to help guide and teach fly fishing enthusiasts the best way to get a great experience, and also offer the added bonus of knowing where the best fly fishing can be found in Key West. The level of difficulty with fly casting, presentation and reading the fish caries on any given day and with any given season. Winter is a great time to stalk barracuda on the flats. Springtime is usually the best time to catch a permit on the fly. 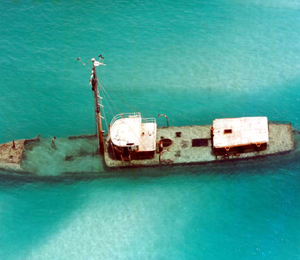 Tarpon migrate through the Keys from April through June. 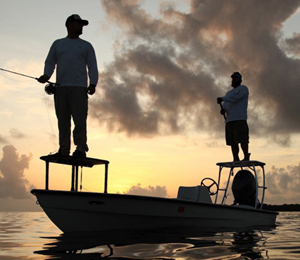 No matter what time of year, Key West fly fishing has something for everyone. 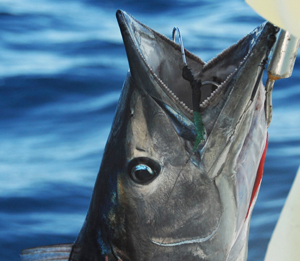 No matter what your target species, the passion for saltwater fly fishing remains the same. Whether you choose to fly fish directly in the water or by a hired charter boat, Key West fly fishing is undeniably some of the best in the world, year round.